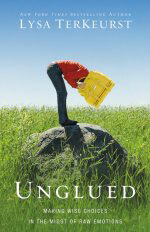 « What Makes You Come “Unglued”? Thanks, Melanie! And yeah–that quote had a big effect on me:). I’m glad it helped you, too! “Like prison bars closing” – and I am so glad that Jesus came to set the prisoners free, including me, Kim. 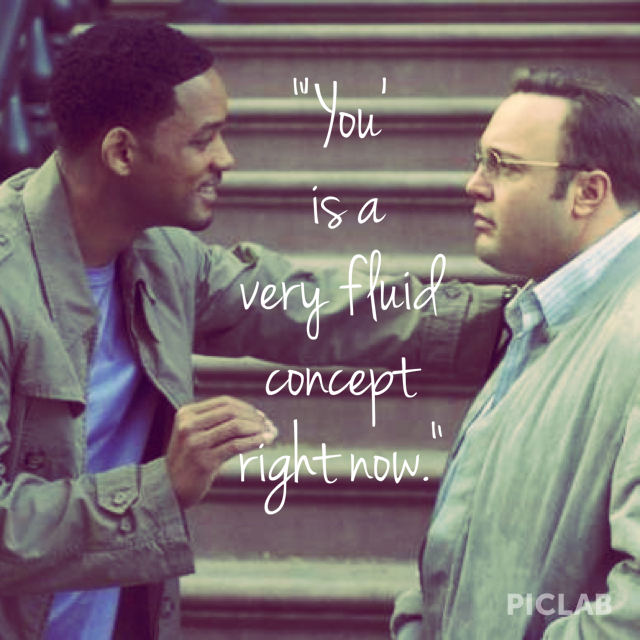 Great reflection on Hitch, too. That movie posited that we don’t have to be trapped in our self-imposed limitations, and I believe it. there are plenty of other limitations that I must deal it (I’m not as smart as Einstein and I’ll never swim as fast as Michael Phelps), so why should I add any more? Good point about adding on limitations, Tim. It’s so sad how we limit ourselves with our words. A couple years ago at PBC our class lesson was on John 9 where Jesus opened the eyes of the man born blind. A couple of the teachers got together to talk about the lesson and Andrew Thompson stated something along the lines of “He was born that way but God didn’t leave him that way.” I began to think about how I excused behavior in my life b/c it’s “who I was” and “how I was made”. Andrew’s comments and the man’s healing in John 9 began to challenge how I looked at my behavior along with how I view people who I had been told “could never change” or “will always be that way”. I often fall back into that thought process as it was ingrained for so long, but thanks be to God that I’m moving away from that thought process and remembering God’s promises to change me and others into His glory! That’s a great example from Scripture, Sean! Really, this isn’t a revolutionary concept–I mean, don’t we all want to grow and get better, even if we are not Christians? And yet, there’s this competing idea that we’re all okay the way we are. And I see the reasoning behind it and even where that could be a message of grace. But too often, that idea becomes an excuse and a prison, like I described in the post. I think the Christian message is grace-filled in that it acknowledges our own inability to perfect ourselves, instead putting ultimately responsibility for our transformation on God’s Spirit within us. We just have to pursue Him and let Him work in us! It’s always interesting to ponder identity in terms of ministry, Becky. In the Bible, we definitely see an example of adaptability in ministry (Paul’s being “all things to all people,” for instance). If I went with “that’s just who I am,” I would never have people in my home, would never volunteer to help at big events, would never even TEACH, because “I’m such an introvert” and that type of thing is exhausting to me. At the same time, though, we have to be able to discern what it is that God wants us to do, and not EVERY opportunity is part of our “good works that He has prepared in advance for us to do.” And so, when looking at opportunities, I think you do have to ask, “Has God given me the internal and external resources for this?” And some of that has to do with the personality and cultural skill sets that He has given us. Culture is especially interesting to consider when, as with you, it sets you apart. We are friends with people from a lot of different cultures here in Nashville, and I’ve come to really appreciate that variety. No culture has the monopoly on truth, and I think there is a lot of insight and wisdom to be gained by observing and appreciating other cultures. One of our friends is Iranian, for instance, and she humbles me with her generosity, her constant giving of gifts, and her hospitality. I don’t know if it is necessarily an Iranian thing or not, but the way she acts is distinctly different from any American I know! Similarly, as an American, I think that you have some traits that could be beneficial to the Nicaraguan culture–you know better than I what they are, but I know they are there:). And yet, to the extent that your American-ness builds a barrier between the two cultures or prevents you from connecting with the Nicaraguans, I think it has to be adaptable. Haha–look at me, just jumping right into your situation without knowing anything about it:). I’m really just pondering out loud because, like I said, I find the idea of identity in ministry fascinating, and I’m working through it in my own life right now, albeit in a slightly different context. Thinking about your situation helps me to think about my own. Anyway, good luck with your pondering!